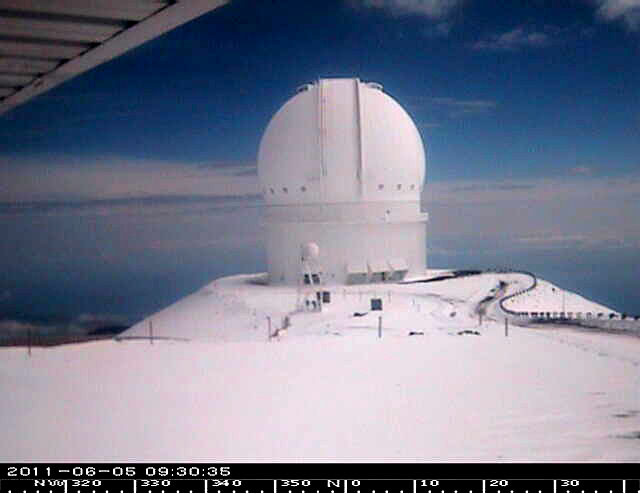 The National Weather Service in Honolulu has issued a Winter Weather Advisory for the Summits of Mauna Kea and Mauna Loa until 6 p.m. this evening (June 5). Snow, sleet or freezing rain is forecast for the summit. The road to Mauna Kea summit has re-opened.